Okay, hopefully way in the back of your mind you’ve been wondering why you haven’t seen any posts lately from Broad Kaw Valley…the truth is, I’ve been working on another website project: Kansas City Scouting Museum. The new site is a virtual collection of Kansas City Scouting memorabilia that I’ve been working on with frequent BKV contributor Matt Perryn. Matt will share some of the editing responsibilities for the site and will provide a boost from the Missouri side of the state line. 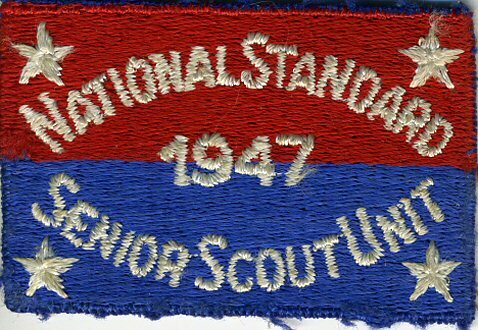 The centerpiece of the new site is the galleries section which will ultimately house many images of Scouting memorabilia from the Kansas City region and beyond. Some of the galleries so far include Mic-O-Say Tribal Feast patches, Tamgeognit Lodge event patches, Kansas City Area Council activities, and Kansas military base shoulder strips — with more to come. A few of the areas we’re trying to build/expand are the Troop neckerchiefs (both Eagle Scout and regular issue), Philmont trek items, and Brownsea/JLT items. Several of the other galleries have images as well, feel free to poke around to find out what we have uploaded so far. As always, if you have images to share, please contact us. The site will also be online home of the Kansas City Trade-O-Ree held each spring and will include a blog and a resources section to download books and other information. Finally, the Kansas City Scouting Museum will have a facebook presence to keep you updated on additions to our image collections. Make sure to like the new page! 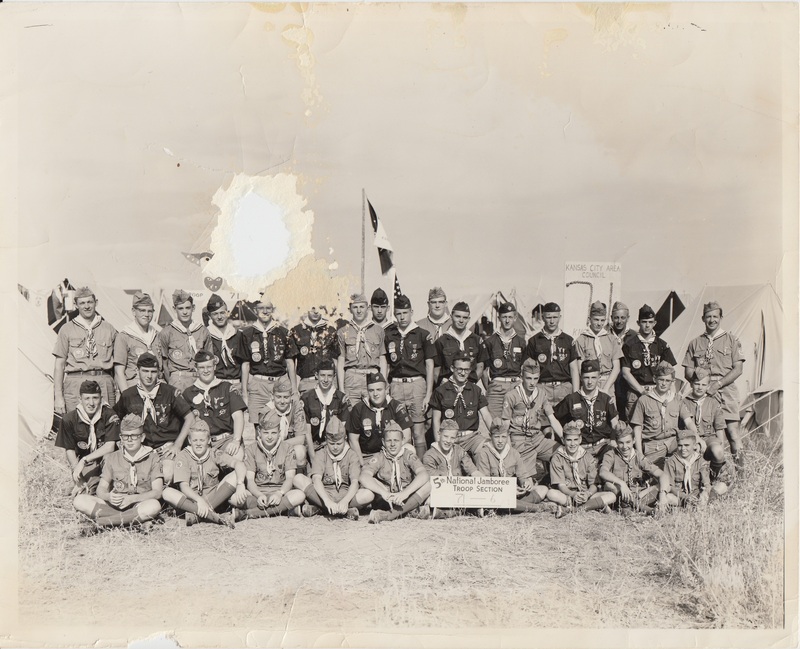 I received this picture earlier this week of a Group of Boy Scouts from Olathe attending the 1953 National Jamboree held at the Irvine Ranch in California. The picture was used in an Olathe, Kansas newspaper, possibly the Olathe Mirror. The caption notes that all of the Scouts are from Olathe with the exception of a few noted below. 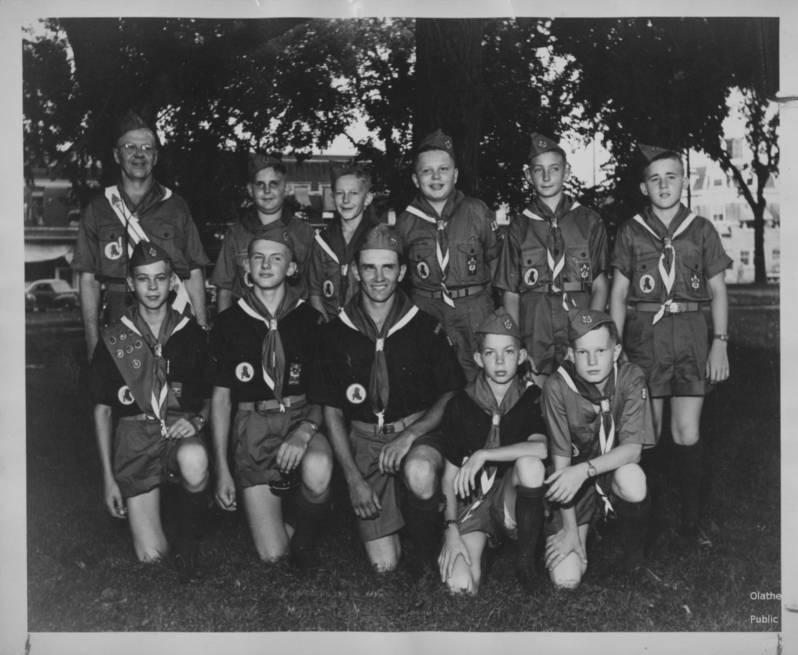 Group portrait of Scouts from Olathe, Gardner, and Lenexa, Kansas before their trip to the 1953 National Jamboree. Top row, L to R: 1) Jim Silvers, 2) Bob Starrett, 3) Bob McCreary, 4) Hugh Bruner, Jr.; second row from top: 1) Jerry Bush, 2) Harry Roth, 3) Ron Bonjour (Lenexa, KS); third row from top: 1) Howard Hougland, 2) Roger Kaster, 3) Jim Kean; fourth row from top: 1) Thomen Reece (Gardner, KS), 2) Don Catlin; front row: 1) Tom Rendleman, 2) Bruce Burns, 3) Stanton Shopmaker, 4) Norb Garrett. 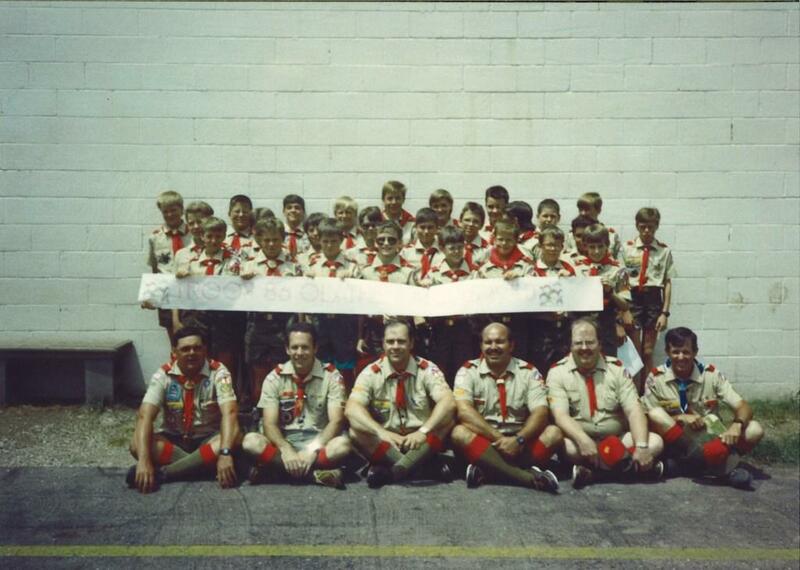 An interesting note: Two newspaper clippings I received noted that Norb Garrett (shown in the front row at the far right) sustained a head injury while participating in a hike at the Jamboree. The article states that he suffered a slight concussion after hitting his head on a stone. Following his injury, his parents traveled to California to be with their son. Thanks to Gene T. for sharing this information. UPDATE: If you recognize the person pictured 3rd from the left in the first row, please contact me at broadkawvalley at gmail dot com. 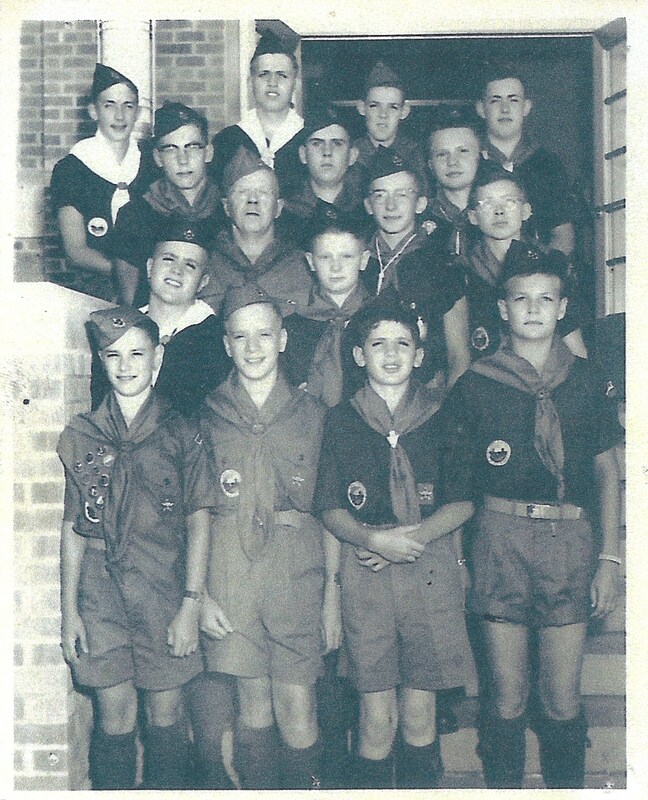 I communicated with the son of one of the boys pictured and he confirmed that his dad attended the Jamboree as a scout. My list of Jamboree items continues to grow – if you have anything to share, please feel free to contact me. broadkawvalley at gmail dot com. I found these four photographs over the weekend. 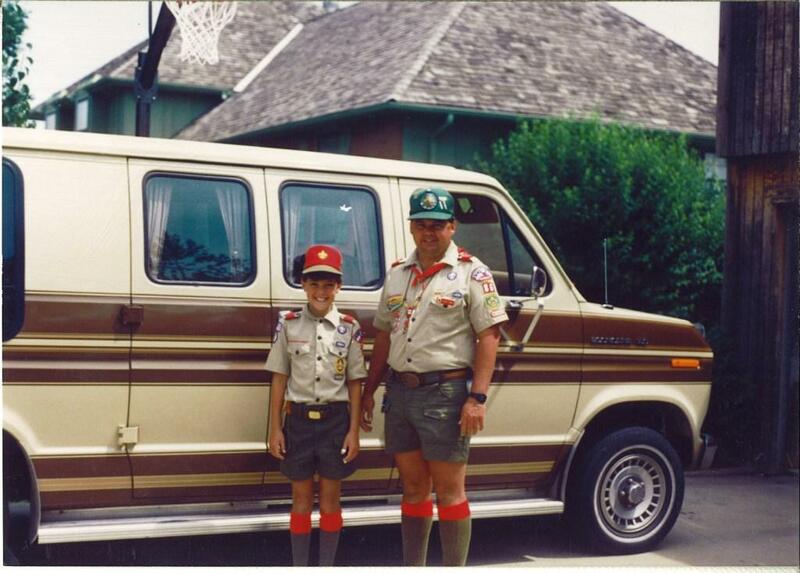 They document my preparations for Camp Naish in 1989 & 1990. My dad, Jack Lewis, attended Camp with me both years and we were transported by the conversion van shown in the background. 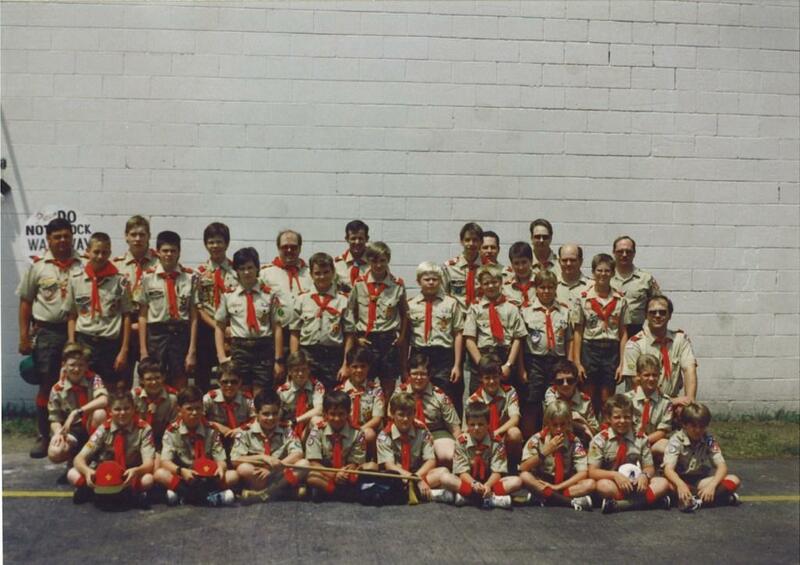 Below is our Troop photo before departure – I count 30 boys and 7 adults. I recognize a few of the faces and still talk with a few of the people pictured. I am pictured in the 2nd row, 5th from the left. I am showing a little more restraint here. 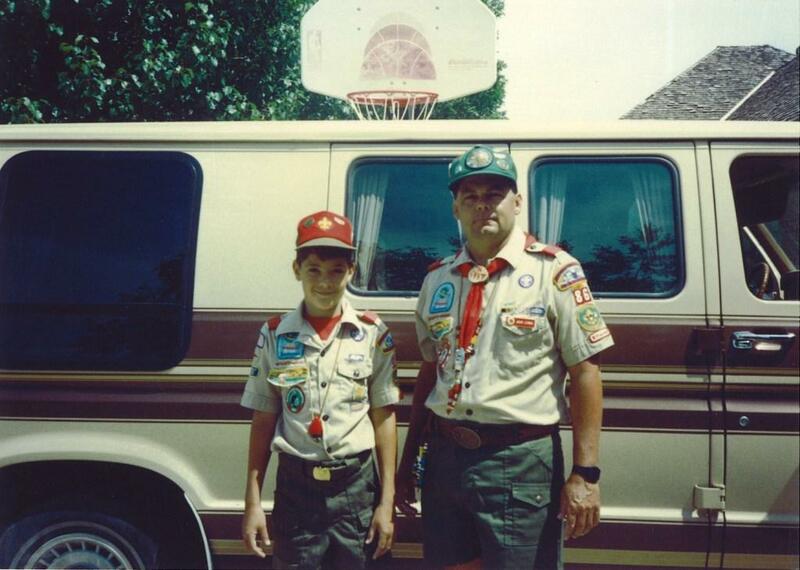 Note: big thanks to my mom for sorting through all of our family photos and pulling out the Scouting-related prints. A few things to note are the sign with “Kansas City Area Council” visible in background at right, “Troop 71” totem pole visible in background at left (near tear) and the sign in foreground which states, “Troop 71 – Section 6”. 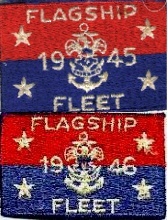 I spotted a few Region 8 neckerchief slides and Matt P. (who sent me the photo) noted that the text on one of the neckerchiefs looks like the text shown on the neckerchief below – which I’ve assumed to be a Kansas City Area Council JAmboree neckerchief. Also, for you tribesmen, Scouts and Scouters with Mic-O-Say claws are visible. 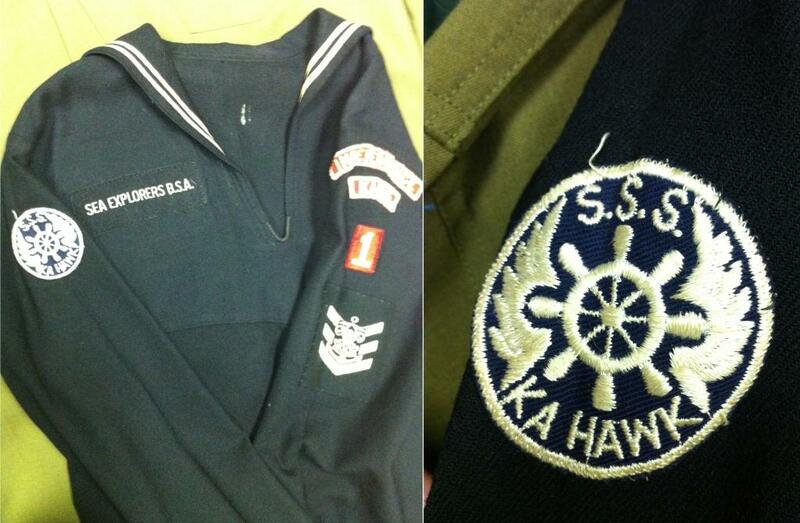 Thanks to Matt P. for sharing these great images. 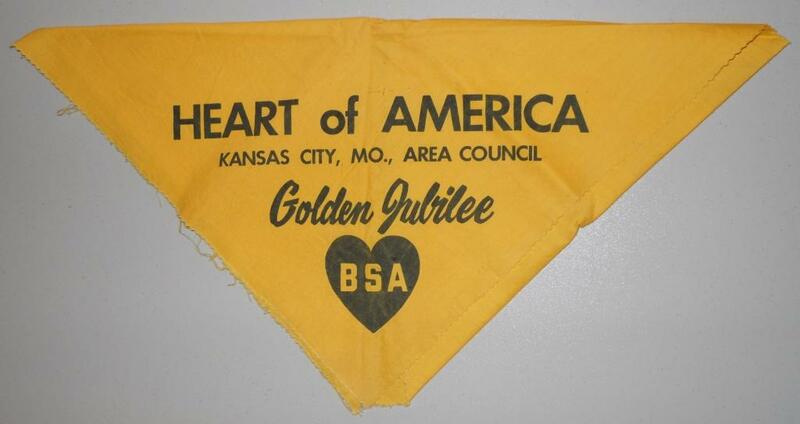 Feel free to contact me if you have any more Kansas City-related Jamboree items. broadkawvalley at gmail dot com. A while back I came in to possession of a what appears to be copy of a copy of a copy of The Camp Naish Story which was published around 1965. The cover of the book is shown below. 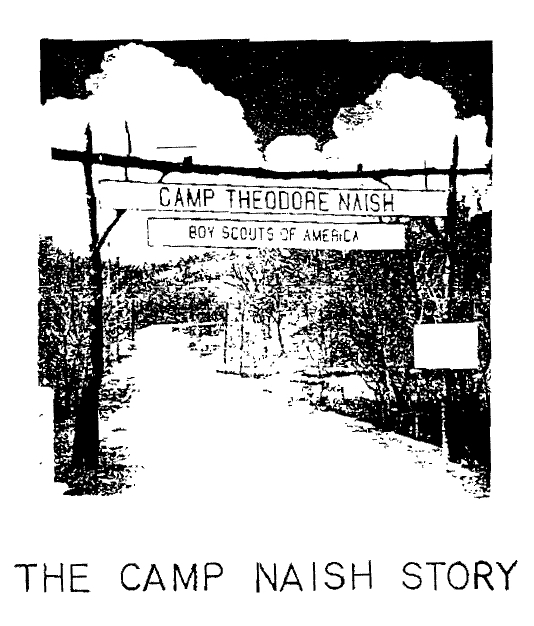 The book details the early years of what is now Theodore Naish Scout Reservation and includes pictures and maps from around Camp. It is a fun read for those with a connection to that place high above the Broad Kaw Valley. If you haven’t seen it, I scanned my copy and uploaded the PDF. It is available on the Broad Kaw Valley download page. I ran optical character recognition on the file. You should be able to search the text, but I am not sure how reliable the results will be. Hopefully you’ll enjoy reading through it as much as I have. If you like this post – “like” Broad Kaw Valley on facebook by clicking the link to the right.